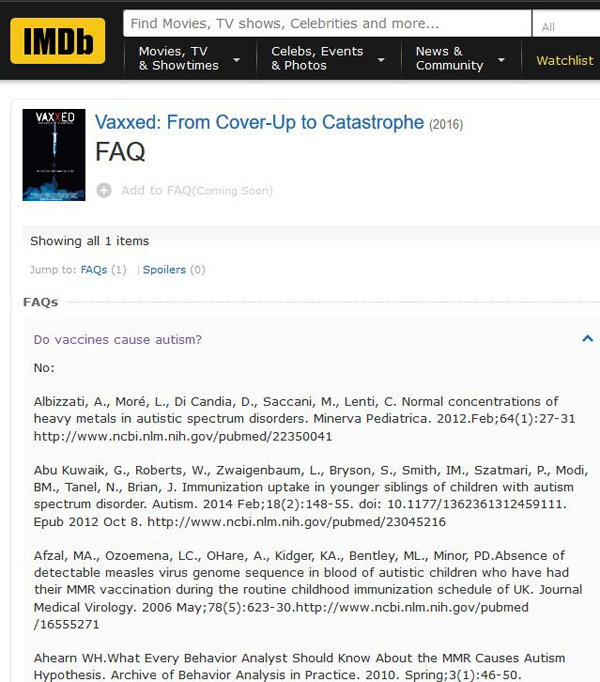 This a collection of items published over the years which mention Dr Andrew Wakefield. As you can see, I have been aware of the fraud for a long time. 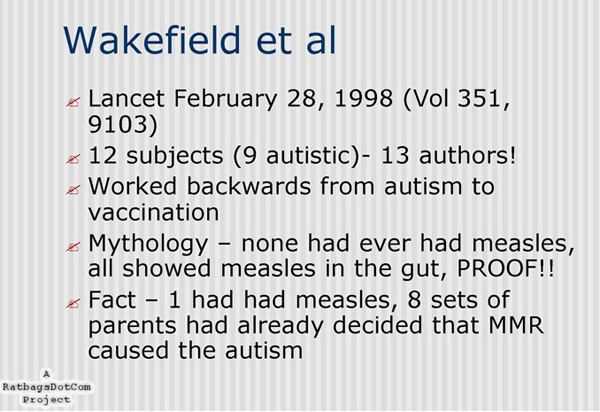 In my speech at the 2001 Australian Skeptics National Convention I mentioned the abysmal research by Dr Andrew Wakefield published in The Lancet in 1998. 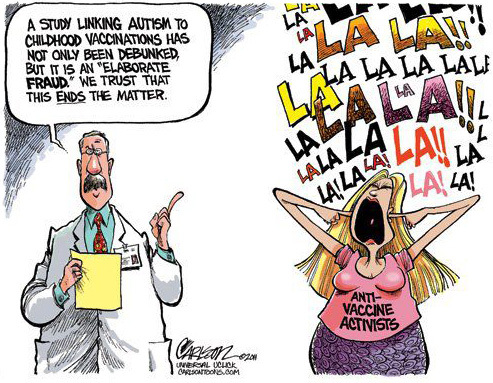 Anti-vaccination liar cesspits had been overflowing with joy at the proof that measles caused autism. I read the paper, I saw the red flags obvious to anyone who had knowledge of research design and I still have no idea why The Lancet published it. Not only did this lead to deaths from measles, but evidence unfolded over the years to show that Wakefield falsified the results and got paid a lot of money to do so. Here is the relevant slide from my PowerPoint show. Last week I mentioned how Dr Andrew Wakefield's "discovery" of the connection between MMR vaccine and autism had come under question again. I have written a longer version of that article for publication in the magazine Australasian Science. It is too long to put on this page, but you can go here to read it. Another thing I mentioned last week was a web site which was set up to publish letters of thanks and congratulations to Dr Wakefield. I wrote to them but my letter was not published. As this was obviously some sort of oversight and nobody has written to me rejecting what I had to say, I have written again just in case my email was accidentally deleted by a spam filter or something. Also, there is an online training course in "Vaccine Dangers" starting next Wednesday. I politely asked to be enrolled in this course and even offered to pay, but I have not heard back. I will write again because I don't want to buy the textbook if I can't do the course. I am very disappointed that I have heard nothing back in either of these cases as I am trying to reach out to the anti-vaccination liars as part of my new "kinder and gentler" policy for The Millenium Project. I would come as no surprise to anyone familiar with this site to find that the anti-vaccination liars are repeating lies which have been shown to be lies many times. The latest assault on children's wellbeing is about to appear in a rag named The Journal of American Physicians and Surgeons, published by the Association of American Physicians and Surgeons, a group which despite its impressive name is just a collection of anti-vaccination whackos. Several "experts" have found flaws in a recent study in Denmark which showed that there was no connection between MMR vaccinations and autism. One of the authors, Dr Fouad Yazbak, usually seems to divide his time between blaming autism on MMR vaccines and on the thimerosal preservative which was used in some vaccines in the past, although I have to admit that I cannot recall him ever conflating these two "causes" by saying that the MMR vaccine contains thimerosal as many other anti-vaccination liars will claim. (Dr Yazbak, along with Dr Jane Orient, head of AAPS, appeared as an expert witness for baby slaughterer Alan Yurko in Yurko's retrial hearing last week.) 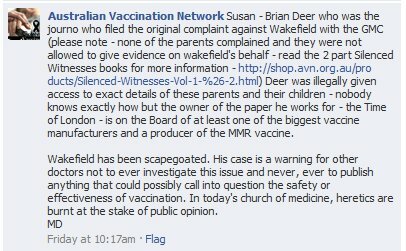 Another author is the discredited Dr Andrew Wakefield. The new set of problems with the Danish study are attempts to confuse the statistically illiterate by the use of bogus statistics and lack the imaginative property of previous discreditation attempts which suggested such startling ideas as Danish children being so different genetically to children in the rest of the world that the results of the survey could not be generalised. I confidently predict that future "research" by anti-vaccination liars will turn up many new and unexpected ways that vaccines can damage children. They are only limited by imagination and mendacity. 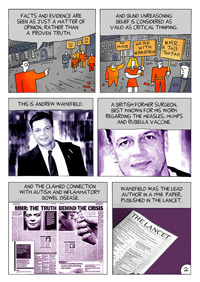 Earlier this year I wrote about how Dr Andrew Wakefield, hero of the anti-vaccination liars and suppressed great scientist, had been found with his hand in the cookie jar. A television program shown on British TV last week has revealed that his other hand and both feet were in the jar as well. The attacks on the reporter have started in earnest, of course, because it is beyond the imagination of anyone opposed to vaccines that anyone who offers any support to them could in any way be tainted by deception, pride or financial greed. I would like to thank all the people who thought of me when they saw or heard about the television program and then either mentioned me in Internet forums or emailed me to tell me about it. A special thanks must go to Jim from the Association for Skeptical Enquiry who arranged for me to get a copy of the show. I will have something to say about this next week, but in the meantime I have to watch the show again so that I can bask once again in a fine feeling of Schadenfreude. I will be following this story as it progresses, but in the meantime you can read something I wrote about Andrew Wakefield here. The PCC has reached no formal ruling on the substance of the case. It has indicated that it will temporarily stay its investigation until the conclusion of the GMC hearing. In the meantime, it has requested that the paper remove the articles under complaint until a ruling can be reached by the PCC. This would be without any admission of liability on the part of the paper. There is nothing on our website, because there is no substantive ruling at this stage. Fascinating exhange. Bowditch is one of the internets biggest xxxxx. If his lips are moving he's xxxxx. If he's typing, he's xxxxx. 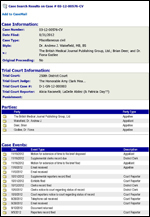 Bowditch was successfully sued for xxxxxxxxx. Bowditch was also xxxxxxxx for xxxxxxx xxxxxxx. The only real question is: Is Bowditch a xxxxxx xxxx or a xxxxxxx that xxxx. I eagerly await the publication of this "hard information". Your client, Dr Andrew Wakefield, has published, and caused to be published, on his website, thoughtfulhouse.org, and on other sites, false claims that the Press Complaints Commission has issued an "interim order" concerning my investigation into his conduct. Dr Wakefield claims that The Sunday Times has been ordered by the PCC to remove my stories about him from its website. 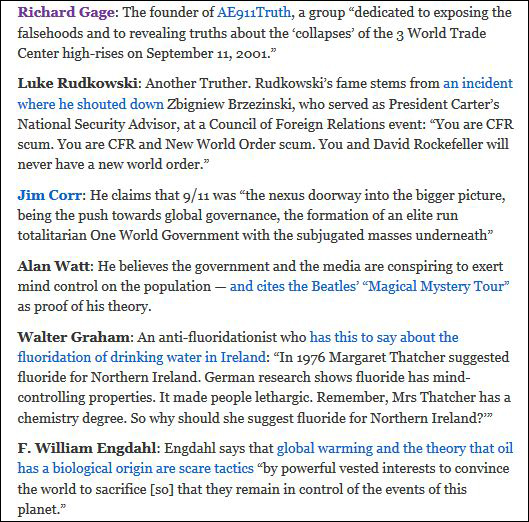 thoughtfulhouse.org is unquestionably controlled by Dr Wakefield, and his publication there has caused similar untruths to be published on websites either directly controlled for his interests, such as cryshame.org, which, as you may know was set up by Mrs Isabella Thomas, the parent of two of the children anonymised in the now-infamous Lancet MMR paper, or indirectly controlled for his interests, such as ageofautism.com, operated to promote and profit from concern over children's vaccines. 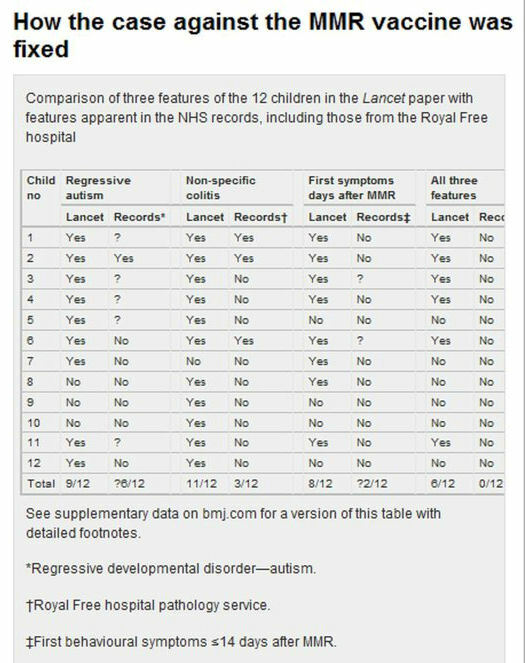 It is, of course, nothing new for Dr Wakefield to mislead the public, and especially the parents of autistic children. He has faced the longest ever proceedings before a General Medical Council fitness to practise panel, following the GMC's reinvestigation of my journalism. In due course, I'd expect he will face a hearing of the PCC, covering much of the same ground on a significantly different evidential base. You can read the articles here, here and here. If Wakefield manages to get them removed from the Sunday Times site again, I will reproduce them here. Look who's doing a tour, lying to parents and putting their children at risk. 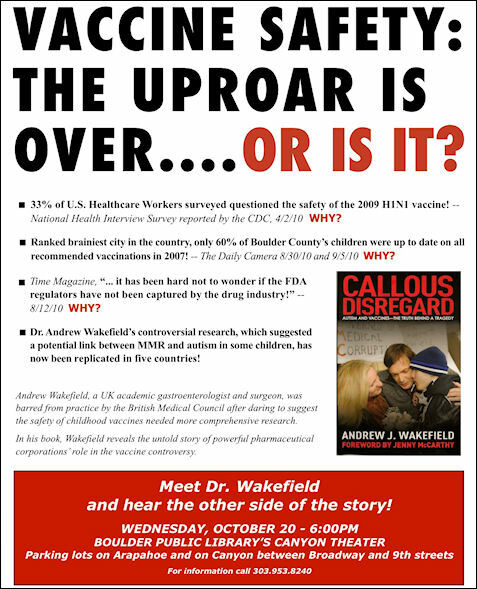 Yes, ex-Dr Wakefield, the uproar is over, and is only being maintained by people like you. Let's look at the claims made in the poster. "33% of Healthcare Workers surveyed questioned the safety of the H1N1 vaccine! - National Health Interview Survey reported by CDC, 4/2/10. Why?" I had look at the NHIS web site and I can't see anything about a survey of "Healthcare Workers" in April 2010 or any other year. Perhaps I am looking in the wrong place, so maybe ex-Dr Wakefield might like to give a reference so that people don't think he's lying. "Ranked brainiest city in the country, only 60% of Boulder County's children were up to date on all recommended vaccinations in 2007! Why?" There are no stories about vaccination archived on the Daily Camera site for either of the days cited, but there are many stories about the County's total commitment to vaccination and the free campaigns, just as there are on the County's own site. 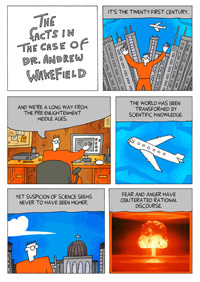 Maybe ex-Dr Wakefield might like to give some actual references so that people don't think he's lying. "Time Magazine - ... It has been hard not to wonder if the FDA regulators have not been captured by the drug industry!" At last, something that actually exists, but what we have is a classic of quote mining. The article wasn't about vaccines and the quoted words were embedded in "Over the past two decades, as drug after drug has been recalled after winning FDA approval, it has been hard not to wonder if FDA regulators have been captured by the drug industry. FDA critics and industry monitors charge that the drug-approval process is too easy for pharmaceutical companies to game. It is in some ways an unsurprising development. The FDA serves a public insatiably hungry for new medicines. Yet the agency does not have responsibility for performing safety testing. It relies on drug companies to perform all premarket testing on drugs for safety and efficacy". Valid criticism of industry regulators the world over, but I would be much more impressed if the makers of quack potions were prepared to subject their products to the same regulatory process as applies to real medicines and vaccines. So, not a lie this time from ex-Dr Wakefield but a bending of the truth that can only be considered to be deliberate dishonesty. "Dr Andrew Wakefield's controversial research, which suggested a potential link between MMR and autism in some children, has now been replicated in five countries"
Well, the "research" certainly was controversial, but the main controversy was over how such obvious fraud got published in the first place, and it wasn't the "research" which suggested an MMR-autism link, it was ex-Dr Wakefield and his paymasters. As for the five replications, perhaps ex-Dr Wakefield might again like to provide references, because all I can find in PubMed are articles confirming that there is no link and other articles pointing out how Wakefield was discredited. Of course, now that his paper with fabricated results has been withdrawn by The Lancet it can't be cited by any reputable researcher, so perhaps this "confirming research" has been forced into non-peer-reviewed "journals" with the rest of quackery. "Andrew Wakefield, a UK gastroenterologist and surgeon, was barred from practice by the British Medical Council after daring to suggest the safety of childhood vaccines needed more comprehensive research"
Well it was the UK General Medical Council, but what's a little matter of getting the name wrong? And he wasn't barred for questioning vaccines, he was barred for unethical conduct which included lying about where experimental subjects came from, hiding an enormous conflict of interest, taking biological samples without proper consent, and generally behaving in an unprofessional manner for someone who should take medicine and being a doctor seriously. At least Wakefield got one thing right - the title of his book is a good reminder of his callous disregard of professional ethics and the safety of children. He probably needs the book and lecture tour to raise some money. I don't imagine it's cheap to set up a clinic in Tijuana. The editorial in the British Medical Journal for January 5, 2011, has a rather unequivocal headline: "Wakefield's article linking MMR vaccine and autism was fraudulent". I don't think I could have put it better myself, and in fact I did use the word "fraudulent" back in 2006 when talking about the way that Dr Andrew Wakefield performed some "research" specifically designed to demonstrate that the MMR vaccine could cause autism. And yes, I did mean "specifically" when I said it. Wakefield was paid to find a result that fitted his prejudices and he went right ahead and found it. I don't believe that I can claim psychic powers if I correctly predict that within minutes anti-vaccination liar organisations like Age of Autism and the Australian Vaccination Network will come out with conspiracy theories and ridiculous defences of this despicable man. No amount of evidence can ever make people like these admit they were wrong, even if admitting it makes no difference to their ideological positions. Wakefield faked his research - that he did this has no bearing on the safety of vaccines, but once declared a hero the garland cannot be taken back. At least he can't practice as a doctor any more, although this won't stop him pretending to be a doctor at anti-vaccination publicity events. The following article appeared on the web site of Time Magazine this week. 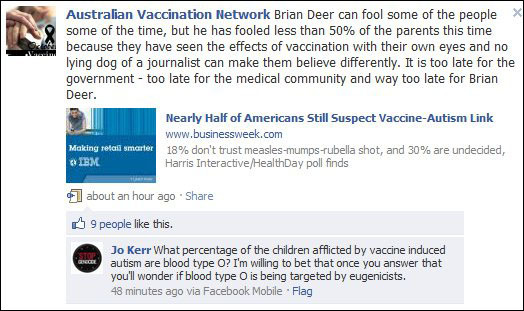 It was part of a series headed "Great Science Frauds"
Do vaccines cause autism? Medical experts say no, but we can thank Wakefield for introducing the doubt that won't die in many parents' minds. 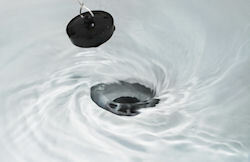 In 1998, the gastroenterologist at Royal Free Hospital in London published a study describing a connection between the measles-mumps-rubella (MMR) vaccine and autism, after he found evidence of these viruses, presumably from the shot, in the guts of a dozen autistic children, eight of whom developed autism-like symptoms days after receiving their vaccination. 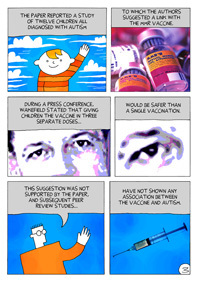 Other scientists could not replicate Wakefield's findings, nor verify a link between the vaccine and autism. In 2010, the journal that published his paper retracted it, and its editors noted that "it was utterly clear, without any ambiguity at all, that the statements in the paper were utterly false." Later that year, the General Medical Council in the U.K. revoked Wakefield's medical license, citing ethical concerns over how he recruited the patients in the study as well as his failure to disclose that he was a paid consultant to attorneys representing parents who believed their children had been harmed by vaccines. The final shoe dropped a year later, when another prestigious medical journal concluded that his research was also fraudulent, after evidence that some of the timelines of the children's symptoms were misrepresented. Wakefield maintains his innocence, and penned a book defending his work and his continued belief in a connection between vaccines and autism. Infectious disease experts and pediatricians, meanwhile, routinely confront conflicted parents who question the safety of vaccines, despite immunization's long-standing record of successfully controlling childhood diseases with relatively few side effects. Disgraced and disgraceful ex-Dr Andrew Wakefield, the man whose fraudulent "research" led to the death of a few and the infection of many with measles has been granted another award. Andrew Wakefield, the doctor struck off the medical register for his discredited research that claimed to find a link between autism and the MMR vaccine, can add another honour to his list this Christmas: the inaugural Golden Duck award for lifetime achievement in quackery, set up by the science writer Simon Singh. Runners-up for the award were Prince Charles and David Tredinnick, the Tory MP for Bosworth and member of the Commons health select committee. 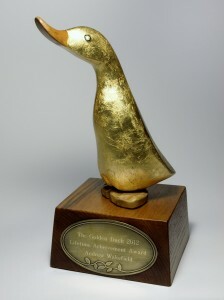 The Good Thinking Society, a campaign group led by Singh, set up the annual Golden Duck award to recognise those "who have supported or practised pseudoscience in the most ludicrous, dangerous, irrational or irresponsible manner". In 1998, Wakefield was the lead author of a paper in the Lancet medical journal that suggested a link between the measles virus and inflammatory bowel disease. The paper also suggested the virus played a role in the development of autism. Wakefield later said that his research led him to believe that, instead of the MMR triple vaccine, children should be given a series of single vaccines. His statements led to alarm around the world, a drop in the rate of MMR vaccination and, in the UK, a rise in cases of measles cases. 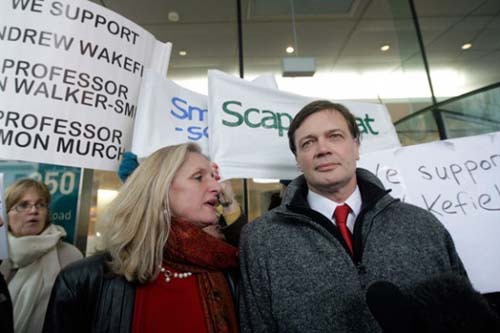 In 2010, the Lancet formally retracted Wakefield's paper and he was struck off the medical register after being found guilty of serious professional misconduct. Subsequent studies have found no credible link between MMR and either autism or Crohn's disease. Adam Finn, professor of paediatrics at Bristol University, said that Wakefield's legacy was "many, many thousands of unimmunised children born over the last 15 years whose parents decided MMR was too risky at the time and subsequently have forgotten all about it. Measles rates are up and they will only decline when this accumulation of susceptibles has either had the vaccine or the disease." 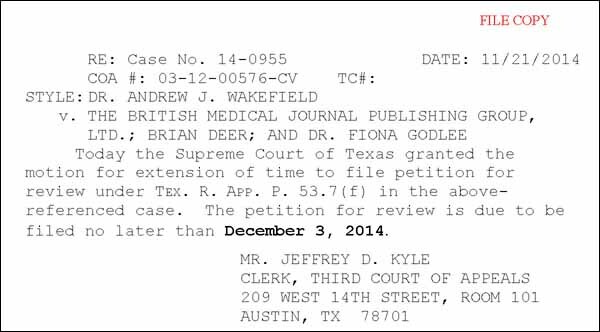 On September 19 ex-Dr Andrew Wakefield had an appeal rejected by the Texas Court of Appeals over his ridiculous attempt to sue people and businesses in the UK in a court in Texas. It was obvious from the very start that the Texas courts had no jurisdiction in the matter and this has now been ruled at two levels of the Texas court system. 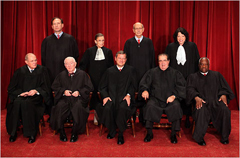 Never one to give up, because ongoing legal action against people is always a way to defame them by implication, Wakefield has appealed to the Supreme Court of Texas. He had 45 days from the original ruling to lodge an appeal which meant that it had had to be lodged by November 3, however following his usual practice he missed that deadline and two weeks later on November 17 requested an extension of time until December 3. I am not a lawyer but I can see no reason why the Supreme Court of Texas should allow this appeal, or if they did to uphold it and rule that any Texas court has jurisdiction over people in the UK. This is been Wakefield's modus operandi for many years. In 2005 he was ordered by the England and Wales High Court to get on with litigation because it had become obvious he was merely using deliberately introduced delays to drag out the proceedings. I have experienced this myself, because it is often useful for people attacking someone else on spurious legal grounds to have a court case dragged on forever so they can continue to pretend that the person they are attacking has somehow been in breach of the law. It also increases the costs for the attacked party. For a description of what is happening written by a real lawyer, you can read this article in Skeptical Raptor by Dorit Reiss, who is an actual Professor of Law at a real University. As our old friend Patrick Timothy Bolen was so vociferous in his support of Wakefield, predicting his total victory in Texas, he has promised further comment on how Wakefield is yet again about to achieve supremacy. I eagerly await his prediction. 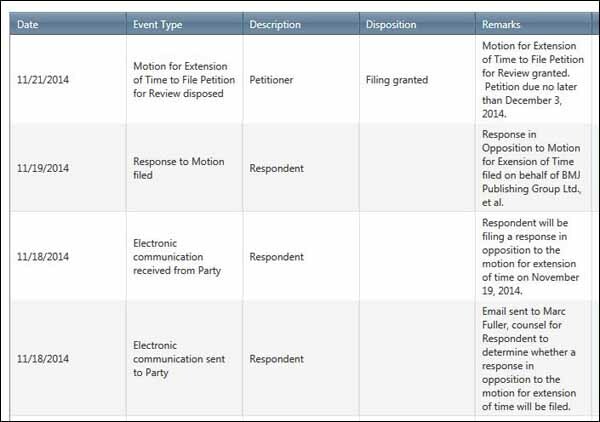 That date has long passed and the court record is now showing the following progress of rulings and documents in the case. You will note that no appeal was lodged by December 3. For all thinking people this must mean that the whole thing is over and done with and can never be revived, but I don't think it would surprise me if some lawyers were to advise Wakefield that there was a possibility of wasting even more of the court's time so that the pretense of a lawsuit can continue to be publicised by Wakefield's supporters. I do hope however that he now goes into the obscurity which he has always deserved. It is highly probable that there will be no cessation of the lies that are continually told about how this gallant whistleblower was crushed by the orthodoxy, but there is a precedent (AlanYurko) of heroes of the anti-vaccination liar movement being discarded as soon as their usefulness is over, so maybe something good can come of this. And it was a SLAPP suit under Texas law and that means Wakefield has to pay the defendants' costs. I did say something good might come of this.